Thanks to my reduced work schedule I have some extra time on my hands. I woke up this morning wondering what to do. Between Pinterest and Allrecipes, an idea struck me. 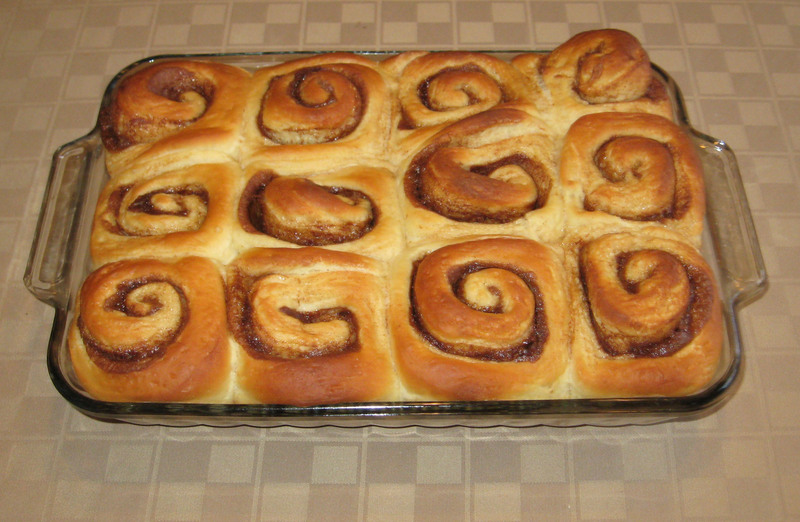 I have always wanted a signature cinnamon roll recipe, and this would be a great way to start. Maybe someday I will move to the U.P. and sell huge cinnamon rolls since no one up there really makes them anymore. As it turns out, working with dough can be relaxing and helps you think. While kneading I decided that I should start this blog, so I felt obliged to make this the first real post. Back to the rolls. Have I ever made them from scratch? No. Have I ever made bread from scratch without a bread maker? No. Do I have any real experience with yeast and kneading? Not really, but what could go wrong? As it turns out, not as much as I thought. I did remind myself that dough that isn’t thick enough does not knead well (or at all). It does, however, make a tasty mess. In fact, I managed to trash the whole kitchen and dirty twice as many dishes as I probably had to. At least there was plenty of time to clean up while they were rising. 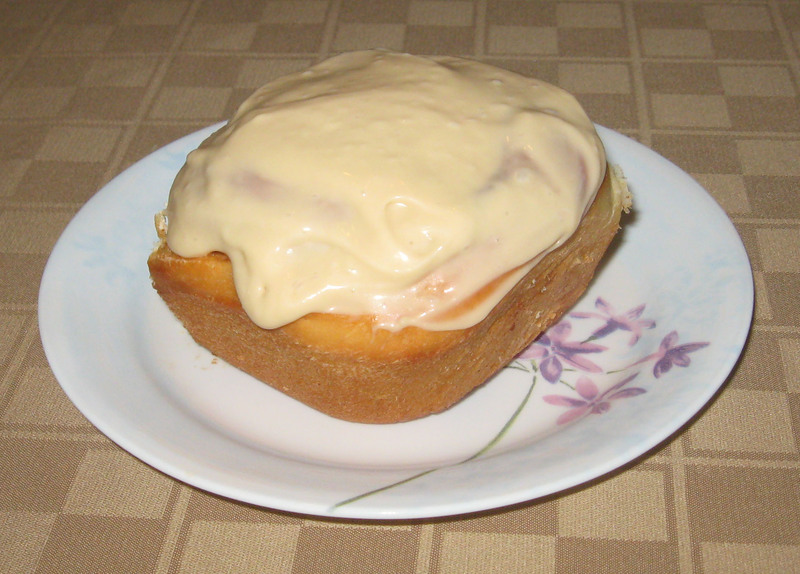 I worked from the recipe for Mom’s good cinnamon rolls at allrecipes.com. I made some changes based on recommendations and others based on experience and preference. It turned out something like this. I frosted mine with some brown sugar cream cheese frosting I had on hand. Overall, they turned out pretty good. I will probably tweak the recipe some and try again, but first, I have to find a way to get rid of the ones I made without eating them all. That is what I usually do, but I won’t be seeing work for a couple more days. I sent them to my mom’s work instead.